HP Hood LLC voluntarily recalled a limited number of half gallon cartons of refrigerated Vanilla Almond Breeze Almond Milk due to the possibility that it contains milk. People who have an allergy or severe sensitivity to milk run the risk of serious or life threatening allergic reaction. If you don’t have a milk allergy the product is safe to consume. 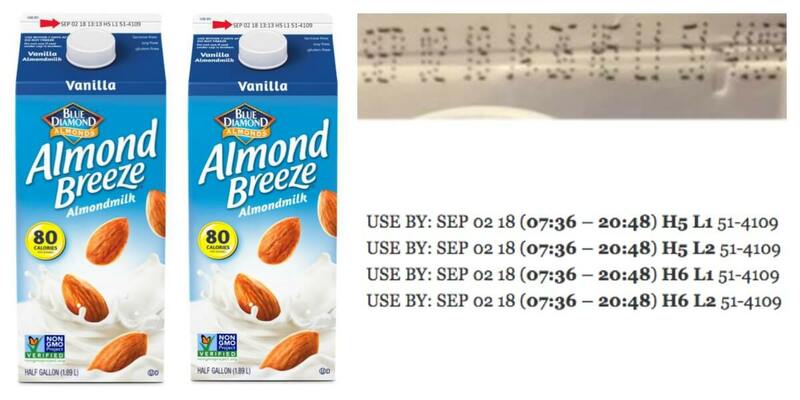 The recall only applies to the Refrigerated Vanilla Almond Breeze Almond MIlk with a use by date of September 2, 2018. BJ’s Wholesale Shoppers – Finish Jet Dry Rinse Aid Only $0.01/Load!